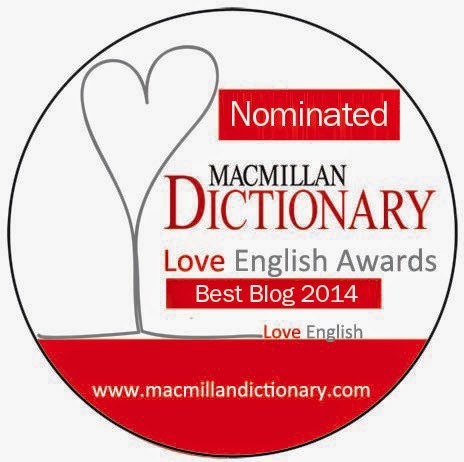 This blog has been nominated for the Love English Awards 2014 organised by Macmillan Dictionary! I can't even thank you enough for your support! I am deeply honoured that you felt this blog to be worthy of nomination. If you think that A language studio deserves to win, you can vote for me on the Macmillan Dictionary site. Voting starts on 13 January 2015. Thank you so much to all of you who nominated my blog. This cold weather inspired me to go through some of the temperature idioms. 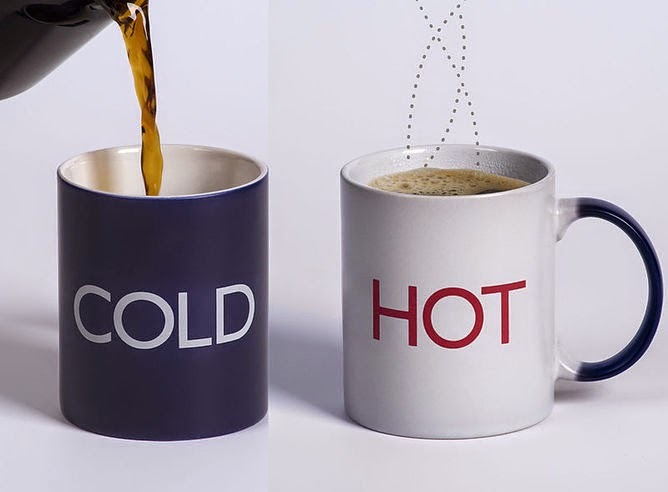 I'll divide it into two categories - 'cold' and 'hot' ones. 1. get cold feet - to suddenly become too frightened to do something you had planned to do, especially something important such as getting married. - The poor girl was left standing there at the altar! Why didn't you come? - I decided I just wasn't ready to get married. I got cold feet. 2. leave sb cold - to not make you feel interested or excited. - I'm afraid opera leaves me cold. 3. lose your cool - to suddenly become very angry and start shouting. - I try to be patient with her but she was so irritating in that meeting, I just lost my cool. 4. frosty reception -an unfriendly welcome. - So, you've met David's parents. How did you get on? - Well, his mother gave me a fairly frosty reception. She's a bit worried that I'm ten years older than him. 5. in cold blood - if sb kills in cold blood, they kill in a way that seems especially cruel because they show no emotions. - Did you hear the news? A policeman has been murdered in the town centre. - Yes, and he was killed in cold blood. 6. as cool as a cucumber - very calm or very calmly, especially when this is surprising. - She walked in as cool as a cucumber, as if nothing had happened. 7. in the cold light of day - if you think about something in the cold light of day, you think about it clearly and calmly, without the emotions you had at the time it happened, and you often feel sorry or ashamed about it. - The next morning, in the cold light of day, James realized what a complete idiot he had been. 8. pour/throw cold water on sth - to criticize someone's opinions or ideas and stop people believing them or being excited about them. - You don't look very happy. What's wrong? - I just presented my plan for the new office to the rest of the staff, but they all poured cold water on it. They didn't like it at all. 9. leave sb out in the cold - to not allow someone to become part of a group or an activity. - Women's volleyball teams feel they are left out in the cold as far as media coverage is concerned. 10. keep a cool head - to stay calm in a difficult situation. - I don't know how you manage to keep such a cool head in such a stressful office. 1. a hot potato - a problem, situation, etc. that is difficult to deal with and causes a lot of disagreement. - The abortion issue is a political hot potato everywhere. 2. hot under the collar - embarrassed or angry about something. - That's the fourth person trying to sell me insurance on the phone this week. - That's nothing to get so hot under the collar about. Just hang up. 3. be in hot water (get into hot water) - to be in or get into a difficult situation in which you are in danger of being criticized or punished. - She found herself in hot water over her comments about immigration. 4. in the hot seat - in a positon where you are responsible for important or difficult things. - I've just been made chairman. - Well, rather you than me in the hot seat. 5. in the heat of the moment - if you say or do something in the heat of the moment, you say it or do it without thinking because you are very angry or excited. - I'm really sorry. I didn't mean it. I just said it in the heat of the moment. 6. warm to sb - to start to like someone. - I wasn't sure about Laura at first, but I warmed to her after we'd been out together a few times. 7. hot off the press - news that is hot off the press has just been printed and often contains the most recent information about something. - Have our new catalogues arrived yet? - Here's the first one hot off the press. 8. go/sell like hot cakes - to be bought quickly and in large numbers. - Her new lipstick is apparently selling like hot cakes. 9. a hotbed of sth - a place or situation where a lot of particular activity, especially an unwanted or unpleasant activity, is happening or might happen. - I'm glad I don't work at Reception. - No, from what I've heard it's a hotbed of gossip! 10. be hot stuff - to be very skilful. - She's really hot stuff at golf. Do you know any other? Can you guess their meaning? Webinar: What's hot, and what's not in coursebooks? Lindsay is an award-winning writer, teacher, teacher trainer and international speaker in the field of English language teaching. He has written more than ten coursebooks for language learners and is the co-author of various methodology books for teachers. He is the co-founder of the round, an independent self-publishing collective at www.the-round.com. You can find out more about Lindsay at his website www.lindsayclandfield.com. This webinar will focus on coursebooks as the indicator of what is popular at the moment in English language teaching. Lindsay will discuss what's hot in the latest generation of international coursebooks and what things are losing popularity. He will also take a look at several recent “flagship” courses from the major publishers and share some of the behind-the-scenes decisions made when a new coursebook series is launched. The webinar will wrap up with a look into the future and the question of whether or not we will be able to call these publications courseBOOKS. This webinar is for teachers who are preparing candidates, or going to prepare candidates, for the Cambridge English: First for Schools exam. Alongside discussing the skills assessed in the Cambridge English: First for Schools Speaking paper, this webinar will help teachers understand the assessment scales for speaking at B2. Finally, the presenter will suggest teaching ideas to practise the skills required for the Cambridge English: First for Schools Speaking paper. Register for this webinar for Monday 16 June or Wednesday 18 June. 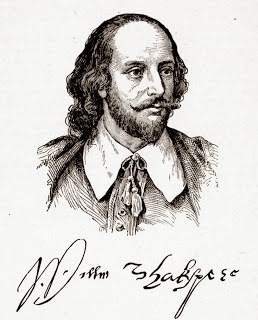 In honour of the 450th anniversary of the birth of William Shakespeare, British Council Russia is organising a competition << To be or not to be >>, in which you can win a royal pillow with Union Jack flag on it. 3. Get the most number of «likes» and the royal pillow is yours! There will be three winners overall. Russian citizens and those older than 14 years are eligible for the competition. Check out all the information at British Council Russia. In this webinar, Deirdre will explore the basic principles of blended learning and ways of making it work, including what tools are available, and the role of teachers and learners in blended learning courses. She will discuss the task of lesson planning and how they are affected by the inclusion of new technologies, and how good teaching remains good teaching even with these new challenges in potentially uncharted territory. Visit Cambridge English Teacher to register. The webinar will deal with recent research on the relationship between motivation and the identity of the learner. This method, known as the L2 Motivational Self System by Zoltán Dörnyei, combines three motivation factors and looks at the use of imagination to enable learners to envision a new identity. 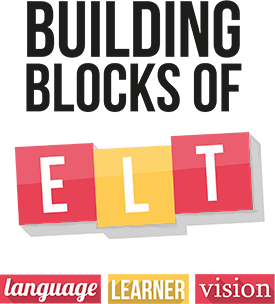 The webinar will cover the theory behind this method, explain how it can promote language learning and suggest practical activities for teachers to use in the classroom. To join the webinar please click here. 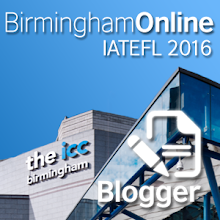 Go to IATEFL for more information. In this presentation, Richard will track the history of his prejudices and find evidence of it in other people. He will also give a quick survey of the accents of the British Isles, including those of non-native speakers who live in England. He will conclude by suggesting that three factors (the requirement to be mutually intelligible, the desire to assert or preserve one's identity, and the durability of prejudices about accents) influence one's sense of self- worth as an individual. Richard Cauldwell has taught English to speakers of other languages for over thirty years. Since 2001 he has been designing and publishing electronic materials for the study of listening and pronunciation. 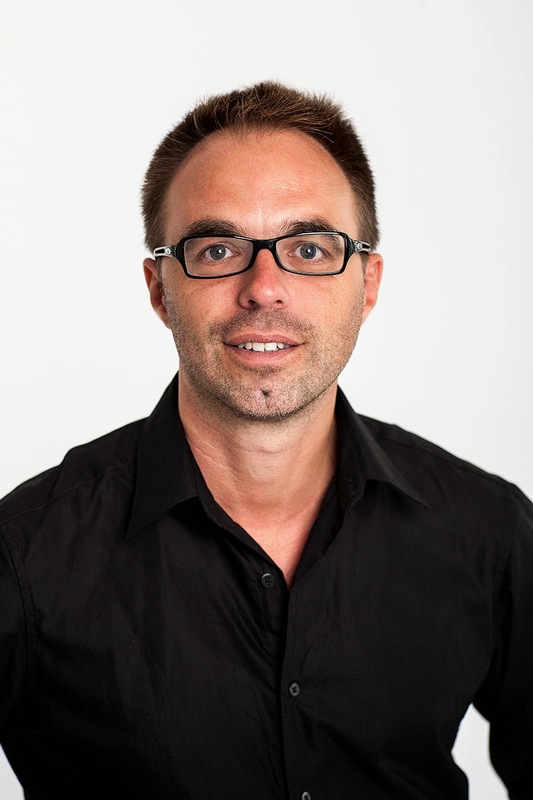 Two of his publications have won British Council Innovations prizes: Streaming Speech (2004) and Cool Speech (2013). This seminar explores practical ideas for teaching pronunciation and listening based on the presenters' experiences in Dubai and London, respectively. Katy Davies teaches full-time at the British Council in Dubai and recently completed her MA in English Language. She is particularly interested in the use of English as a Lingua Franca (ELF) in the UAE, and designing materials to support teachers whose students need to communicate in an ELF context. 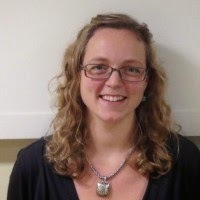 Laura Patsko works at St. George International in London as a senior teacher and teacher trainer on the Trinity CertTESOL and DipTESOL courses. She completed her MA in ELT & Applied Linguistics in September 2013. She is particularly interested in teaching pronunciation and investigating the practical applications of linguistic research. 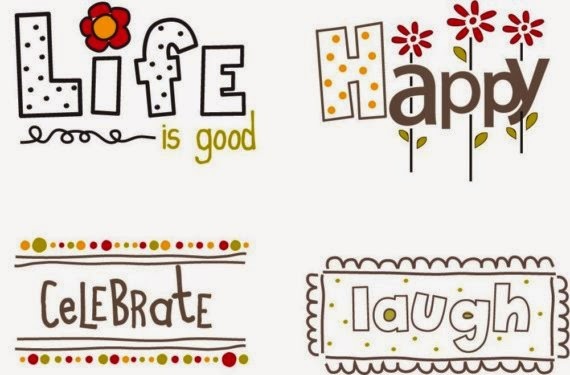 Which words do you consider the most positive? What is your favourite? Seminar/Webinar: Does learning a foreign language make you smarter? There are numerous reasons for learning a language. Cognitive development is often one of the most cited ones. Learning a language is said to improve memory, attention, multitasking performance and mental health. This talk aims to present an overview of the latest research published in this area in order to dispel some myths and highlight the real cognitive benefits of learning a foreign language. Miguel Á. Muñoz (DELTA, M.A. University of Kansas, M.A. UIMP-Instituto Cervantes) has taught English, French and Spanish in Spain, Morocco, Reunion Island and the United States. He currently teaches general English at the Escuela Oficial de Idiomas in Guadalajara. The following list shows the ten mistakes that advanced students most often make when they put one verb after another. In each case the form of the second verb is incorrect. ✗ I suggest to send our kids on a similar course. ✓ I suggest (that) we send our kids on a similar course. ✗ I recommend to write your feelings down on paper. ✓ I recommend writing your feelings down on paper. ✗ I look forward to hear from you. ✓ I look forward to hearing from you. ✗ We need resolve a lot of other important problems. ✓ We need to resolve a lot of other important problems. ✗ I would like you to consider to sell the house. ✓ I would like you to consider selling the house. ✗ If you want have the body you have always dreamed of, you must join a gym. ✓ If you want to have the body you have always dreamed of, you must join a gym. ✗ She was not used to speak Cantonese. ✓ She was not used to speaking Cantonese. ✗ I would like thank the families for their help. ✓ I would like to thank the families for their help. ✗ We need to find new markets where we can to sell our products. ✓ We need to find new markets where we can sell our products. ✗ My job was to help operating the rollercoaster. ✓ My job was to help (them) to operate the roller-coaster. ✓ My job was to help (them) operate the roller-coaster. Which verb+verb combinations trouble you the most? Technology has shared a long history within education. With each new invention came assurances that teaching and learning would never be the same again. However, during each innovation pedagogy has been noticeable mostly by its absence, and decisions about which types of technology to use have been informed increasingly by behaviour patterns in the consumer space. By the end of the session, teachers will have a better understanding of what mobile learning is and also how to assess and evaluate its impact on teaching and learning. The session will also provide teachers with an opportunity to explore alternative pathways around their own professional development and possibly consider education technology as a viable alternative. Joanna Norton is an educator with deep domain expertise teaching in today’s diverse, multilingual learning environments. A multimedia author and editor, her experience of using mobile phones for teaching and learning led to the creation of Keywords English. Keywords English is an app designed to support young language and literacy learners with the academic vocabulary of science, in both their first and second languages. 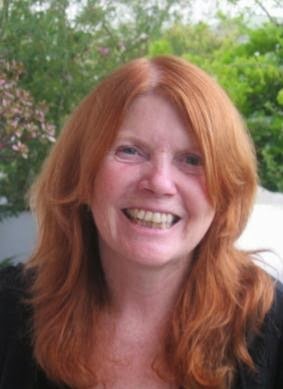 Karen Wilkins currently works as the Director of Studies for IH Intuition Languages, a global network of homestay tutors. Karen has been teaching since 2004 and has worked in Spain, Japan and the UK. Karen has an MA TESOL, where her interest was in extensive reading. She is currently a part-time PhD student researching the effect that new technologies have on our relationships. Seminar: 'It's not about language, it's about people': Do ESOL learners benefit from engagement with museums? Julie Carr is a museum educator, and has recently finished an MA looking at how people learn in museums. She has also served time teaching secondary History. Currently, she is the Programme Manager for adult learning at the Museum of London, where she is responsible for the ESOL provision. This seminar will focus on the results of the presenter’s MA dissertation, which tested the hypothesis that visits to museums do benefit ESOL learners. The results show that trips to museums are about improving the life skills of the learners as well as their language skills. They embolden the learners to step outside the confines of their communities and neighbourhoods to explore London and its museums, as well as improving relationships with each other and their families. To demonstrate how visits to museums can support language learning, knowledge about life in UK and self-esteem.